Mr. Alexander M. Fear - Crush & Varma Law Group P.C. 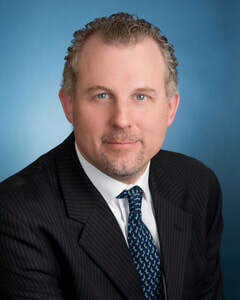 Alexander M. Fear has been engaged in the practice of law for more than twenty years. Initially practicing real estate litigation in 1996, Mr. Fear accepted a position as a law clerk working in Housing Court for the New York City Housing Court Judges. After three years clerking for judges, Mr. Fear became an associate at one of New York City’s preeminent boutique real estate firms in New York City handling real estate litigation and transactions for some of the City’s largest real estate players including Durst, Solow, Forest City Ratner and the Related Companies, just to name a few. After five years with the private firm, Mr. Fear took a position as Director of the Legal Department for a real estate corporation engaged in the acquisition, ownership and management of more than 150 commercial and residential buildings in the metro area. Following this position, Mr. Fear transitioned to become General Counsel for a multi-site, Article 28 Federally Qualified Health Center where he became certified in healthcare compliance and was able to add extensive healthcare operational and compliance experience to his solid foundation of real estate, business and employment knowledge. During this time, because of his strong real estate background, Mr. Fear was tapped by the New York State Senate to serve as Special Counsel to the Senate Housing Committee, a position in which he provided advice to the committee members on many of the real estate and housing bills that were being proposed. Mr. Fear left the medical center in 2011 and returned to private practice where he strives to provide high quality, cost effective legal counsel to all his real estate, corporate and healthcare clients. Mr. Fear obtained his law license in 1996 from Hofstra University School of Law at which time he was admitted to practice in the State of New York. He has since been admitted to practice in the Southern and Eastern Districts of the Federal Courts as well as Bankruptcy Court.